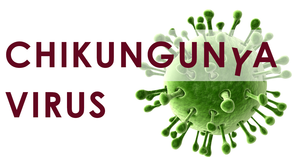 Chinkungunya is an infectious disease caused by the Chinkungunya virus (CHIKV). It triggers mild to severe symptoms including fever and joint pain. Other symptoms may include headache, muscle pain, joint swelling, or rash. The virus usually lasts a few days to weeks, but some symptoms may persist for months. CHIKV is transmitted to humans by mosquitoes. Outbreaks typically occur in Africa and Southeast Asia, however several cases have also been reported in Europe and America. Symptoms of CHIKV are often mistaken for those of dengue or zika fever. To enable a fingerprint analysis on antibody responses against CHIVK, we developed the new PEPperCHIP® Chikungunya Virus Microarray. The high density peptide microarray covers non-structural as well as structural polyproteins of CHIVK (strain S27-African prototype) translated into 3,728 different overlapping peptides for a highly multiplexed high resolution epitope mapping. Furthermore, our new PEPperCHIP® Standard Microarray contains additional HA, polio and c-myc control peptides. More information on the proteome sequences of the aforementioned strain is available in UniProt (Q8JUX5 and Q8JUX6). In addition, you can find the material data sheet and the microarray layout scheme of the new PEPperCHIP® Chikungunya Virus Microarray here.